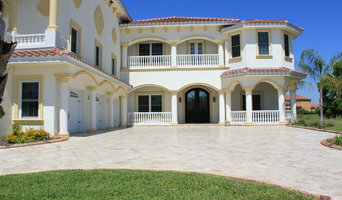 LaBram Homes, Inc. has built a reputation as one of the most distinguished and trusted custom high-end home builders in Florida, creating high quality, architecturally rich custom homes with innovative designs that showcase a unique mix of premium materials, artful appointments and well-planned spaces. From design to completion, we communicate with you at all times, listening to your ideas and visions. Thoughtful design details ensure that your home is a reflection of you and is tailored to your wishes and needs. From rich woods and rustic stone to soaring ceilings and graceful arches, we create homes of enduring beauty and value that are built with care and pride in craftsmanship. LaBram Homes builds in premiere locations throughout Hillsborough and Pinellas counties, where homeowners enjoy a sense of privacy while having easy access to the urban opportunities that Tampa and St. Petersburg have to offer. Our partners in excellence – architects, draftsmen, vendors, artisans, craftsmen, subcontractors and trade partners – are among the finest in their fields and they share the same pride in their work that we do. The strong relationships we have built with them have proven to be invaluable throughout the years. LaBram Homes, Inc. is a family-operated company founded in 1986 by Dale LaBram. Dale serves as company President while his daughter (and partner) Elisa LaBram Verch is Vice President. Dale holds a class “A” general contractor’s license while Elisa is both a licensed residential contractor and interior designer. For Tarpon Springs residential home builders who also act as developers, the job starts well before the first nail is driven. They perform local market research to determine whether the prospective homesites make sense in the Tarpon Springs, FL market, as well as survey the land on which the house will be built to make sure it is suitable for construction. Custom builders also obtain the necessary permits. 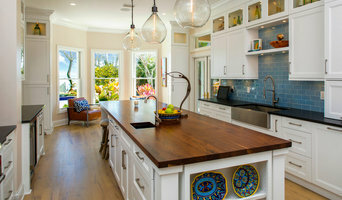 A good custom home builder in Tarpon Springs, FL has skills that go far beyond construction — he or she must supervise subcontractors and artisans; keep tabs on local zoning regulations, building codes and other legalities; inspect work for problems along the way; and perform dozens of other roles that are essential in building a quality house. Here are some related professionals and vendors to complement the work of home builders: Interior Designers & Decorators, Landscape Architects & Landscape Designers, Architects & Building Designers, Kitchen & Bath Designers, Specialty Contractors. House builders are responsible for ensuring that the home-building project sticks as closely as possible to the specified timetable, particularly in the event of change orders. 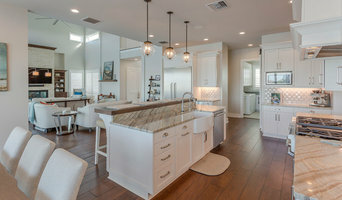 Custom and luxury home builders in Tarpon Springs, FL also need interpersonal skills to deal with clients of all types, soothe frazzled nerves, negotiate conflicts and resolve problems. 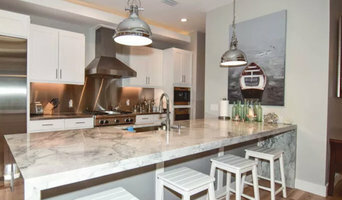 Find custom home builders in Tarpon Springs, FL on Houzz. Narrow your search in the Professionals section of the website to Tarpon Springs, FL home builders. You can also look through Tarpon Springs, FL photos to find a house you like, then contact the builder who worked on it.